Here at MoneyPantry, we’re always looking for money saving/making hacks that we can share with you. Looking for some awesome money saving/making hacks and tips? In this post, you’ll find tons of great little (some not very well-known) money hacks and tips that will help you save and earn more money. Unfortunately, scammers are getting bolder and scam tactics are becoming much more sophisticated. Before you stick your card into a gas pump card reader or ATM, give the card reader a tug to make sure scammers haven’t attached a card skimmers to it. Gas pump and ATM skimmers are all over the place these days. Even the local gas station in your small town isn’t safe. It takes a few seconds to check but can save you from having your credit card info stolen. Got a call from your bank saying there is an issue with your account and that they need some information from you? Hang up and call them back. Now the call may even show up on your caller ID as “Bank of America” or the name of whatever bank you use. So make sure to actually dial in your bank’s phone number instead of calling back the number that just came through. Thousands of people fall for debt collection scams every year. Avoid becoming one of them by asking for a “validation notice” whenever you get a call from a debt collector that you’re not sure is legit. They are required by law to send you that notice within 5 business days. Got a call from someone claiming to be with the IRS threatening you to pay up right away or risk being arrested? It is a scam! The IRS will never call you before actually sending you a notice in the mail. Nor will the agent threaten to arrest you. According to the IRS if you owe money (or think you do) to the IRS, you can call them directly at 1.800.829.1040. We’ve all heard of Craigslist transactions gone horribly wrong. Keep yourself safe the next time you are dealing with a buyer/seller from Craigslist (or any other site or app). Most police departments now have designated trade stations in their parking lots just for these types of transactions. Make sure to meet the seller/buyer there to exchange cash and goods. Checks related scams have been in the news lately. Usually someone sends you a check, asks you to deposit it then immediately send part of it via Western Union to another person. The check of course bounces and you lose money because the money you wired comes out of your actual balance. Next time you get a check and think it may be a scam, ask your bank to verify its validity. Bank tellers can do that on the spot for free. And always trust your gut, if it seems too good to be true, it probably is. 7. Get paid for (not) googling stuff! Instead of using Google to do your daily searches online, use Bing (Microsoft’s search engine.) Microsoft has a reward program known as Microsoft Rewards that literally pays you for using Bing to search. You can earn points for every single search you perform. You can then redeem your points for gift cards and other prizes. Sign up for free for Microsoft Rewards and start getting paid to search today! If you want to learn a new language, remember that many public libraries in the U.S. give you totally free access to Rosetta Stone and other language learning programs. You just need to have a library card to get access to it. Got a library card? You can get free Kindle Books by using the free OverDrive app. Save on Audio Books by borrowing them instantly from your local library using the Libby App. Next time you are buying a car, see if you can finance your loan with your bank or Credit Union. Often times you can get a much better deal, plus having the finance part already covered gives you more leverage when it comes to negotiating a better deal with the car dealership. To make it better, get the approval in writing and take it to the dealership and see if they can give you a better deal. 12. Can’t make the payment? Falling behind on a payments? Pick up the phone and call the company. Ask them about your options. Almost always they will work with you. People forget that at the end of the day, companies want to make money, so they would rather work with you and get paid later, than to send it to a collection agency and potentially never get paid. 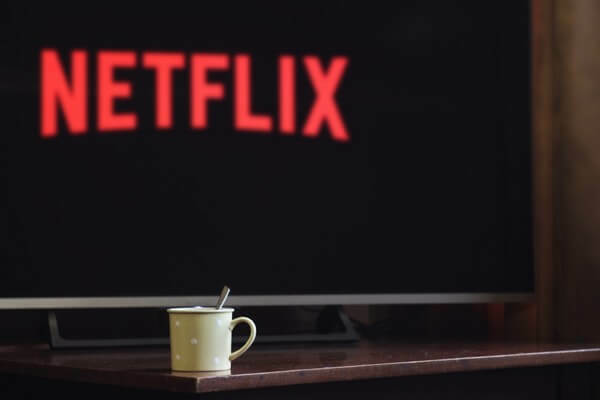 Here’s an easy way to get yourself and a friend some extra cash: whenever you’re signing up for a new service, be it a reward site, NetFlix, Spotify, SiriusXM, or even a new job or apartment, do it through their referral program. Most companies give you and your friend cash or something free. Want to save an extra $660 by the end of 2018? Put a penny in your jar today, tomorrow put in 2, the day after 3, the next day 4 and so on. You’ll saved up an easy $660 by the end of 2018, with a few pennies at a time. If you’re like me, you probably have a bunch of change lying around. Instead of taking it to one of those Coinstar kiosks to exchange it for bills, take it to your bank. Most of these change kiosks charge up to 15%. Your bank should charge you 0%! Have your car paid off? Keep making your monthly car payment! Deposit the equivalent amount to your savings account. It can add up quickly to act as emergency cash for car maintenance and repairs. Do it for a few years and you’ll have enough to either pay for your next car in cash or have enough for a big down payment, either of which can get you a much better deal. I hope this doesn’t apply to you, but if you do have a lot of debts and are paying a lot of interest, get a piece of paper and make a list starting with the accounts with highest interest rates at the top. Then when it’s time to make your monthly payment, start from the top, pay as much as you can on those high interest accounts while making the minimum on the low interest rate accounts. Need a document notarized? Stop paying $10-$20 for a single signature. Your bank and/or local courthouse/city hall will do it for free. Don’t have health insurance and have to pay out of pocket? Ask the hospital for a discount. Almost all hospitals will give you a 10% to 20% discount because they would rather have you get on a payment plan so you can pay them something rather than letting it go to the collectors. Is your Nike shoe falling apart? Look for the manufacturing date (found on the tag inside of the shoe). If it is within 2 years of that date, you can return the shoe for a full refund. More info on Nike’s site. According to a credit card company employee on Reddit, you can get your interest fees waived in special circumstances if you call. For example, if you had an unexpected expense this month and can’t pay the full balance of your credit card, just call the company and ask them to waive the interest fee. Trash bag prices vary based on the thickness of the bags (which is printed on the box). Look at the thickness of the bag you usually buy, then armed with this information, look for a generic version which is always cheaper but is exactly the same thickness. Left your key inside the car with no way to get in? Save on crazy locksmith fees by asking your car dealer to make one for you. Most dealers will make you a key for under $10 that won’t start the car but will open the door so you can get your actual key. They will require proof of insurance and IDs of course. AAA costs around $100 a year but it can save you hundreds each year. From bringing you gas and towing to unlocking your car (for free) when you lock yourself out, and even discounts on vehicle repairs and battery delivery service, it is a total money saver especially for those of us with cars more prone to problems. For a total list of benefits, read “is AAA worth it?“. Don’t pay your hospital bill with a credit card. You’ll end up paying a lot of interest. Instead call the hospital and ask for a flexible monthly payment plan. Most hospitals don’t charge interest. Received a gift card you don’t want? 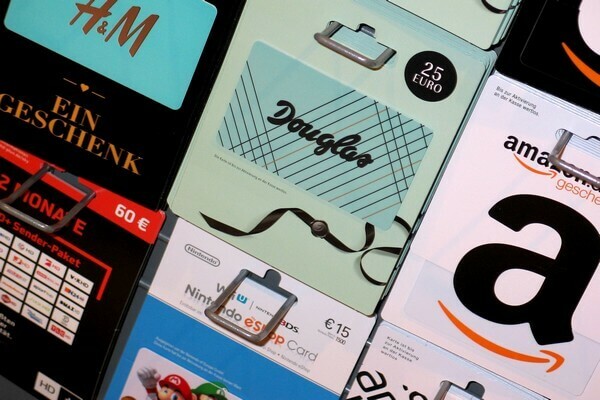 Instead of selling it for less than its value on discount gift card sites, use it to buy a gift card for a store/site that you shop at. Most places let you do this, even Amazon. Instead of selling your stuff on Craigslist, sell them on Decluttr to save time and get more money. Decluttr buys your stuff in bulk so you don’t have to list items one by one. They buy CDs, DVDs, Games, Books & Tech like Cell Phones & Games Consoles! You can access language learning materials of the US Department of Defense and Foreign Service Institute for free by going to https://fsi-languages.yojik.eu/. Need Money Order? Get it from your local post office or Walmart. Most places charge around $5 while Walmart and Post Offices charge around a $1. Who doesn’t want to save money on their Cable, Internet and Phone bills? Use Onavo to reduce your mobile data usage. It notifies you when an app is using too much data and gives you the option to limit the app. If you’re like me and have friends and relatives living overseas, you probably spend a few hundred dollars a year just on phone cards. Sure, there is Skype, but a lot of people have problems with the connection and speed. I found a cool app called, IMO (Android – iOS – Windows), which is evidently very popular in the Middle East. Install it for free and call anyone in the world (they have to install the app as well) for free. you can talk for as long as you want. You can even text and do video calls, all for free. That’s how I keep in touch with my mom and brothers back home, nowadays. Wanna cancel your TV/Internet before the contract is up but don’t want to pay the early termination fee? Call and tell them you are moving to an area where their service isn’t available. Make sure to look up online and find an area/zip code where they don’t serve so if they ask you can be ready. If you signed up for Time Warner Cable before the company was bought out by Charter Spectrum, you may be overpaying. Call them up and ask them to lower your price back to to the original price you signed up for. Be polite but firm. Most people say it works for them. A few Redditors mentioned that a 5 minute call saved them an average of $30 while simultaneously getting them a better package. While there is no way around paying your taxes, there are a few things you can do to save yourself some cash. If you owe the IRS less than $10,000 don’t pay those “Tax Resolution” companies. You can actually do this for free by obtaining a “Guaranteed Installment Agreement” which enables you to make monthly payments. You can get the GIA by calling 800-829-1040 or by going to IRS’s Online Payment Agreement Application. According to the IRS If your adjusted gross income is $66,000 or less, you may qualify for free tax filing software. This works for both Federal and State returns. Visit https://apps.irs.gov/app/freeFile/jsp/index.jsp for a list of free efile software and their requirements. You can file your taxes for free on the even if your adjusted gross income is more than $66,000. Just visit IRS’s “Free File” page to get started. Here’s a simple way to save $39.99 on Turbo Tax’s fees: Instead of using your tax return balance to pay for their service, use your credit/debit card. Turbo Tax charges you a $39.99 fee for paying them (crazy, I know, they charge you for paying them!) with your tax return while there is no charge for using your card. Tired of paying too much for coffee and pizza? Try these easy hacks to keep more money in your pocket. Earn $10 to $50 every time you dine out by using the free Seated App. All you have to do is book a reservation through the app and depending on the restaurant, you’ll get a $10 to $50 in rewards (from Amazon, Starbucks, Lyft, and others) each time you book. Starbucks charges $2.95 for an Americano and $1.95 for an Espresso. Instead of getting an Americano order an Espresso for $1.95. Add a cup of hot water for 28 cents and you still come out ahead. Ordering a pizza from Papa John’s? Put in the code “MLM25” to get 25% off your order any time of the year. You can also use “MLM50” for 50% off which is a special they run at various times during the year. Give it a try, you may get lucky! You can also get 25% discount at any time on a Papa John’s purchase by using the promo code “aarp25”. Also, throughout the summer, in some areas, you can use the code “weekend40” on weekends to get 40% off. Ordering pizza? RetailMeNot’s pizza codes section has tons of current discount and promo codes for all major pizza companies. According to a former Papa John’s manager on Reddit, it’s always a good idea to call and ask for the specials. In most cases, they can give you close to 50% off. You can get the same spice cheaper if you get them from the “ethnic food” aisle instead of regular spice aisle at your local grocery store. These days, almost everybody shops online. Keep an eye on the prices of items you buy from Amazon for 7 days. If the price drops within 7 days, Amazon will refund the difference. Don’t have time to keep an eye on Amazon price drops so you can get the price difference refund if it drops within 7 days? Use the free Paribus app. It automatically does this for you. You can use your library card to access materials from many paid learning websites for free. For example, a Lynda subscription starts at $19.99 a month. With your library card you can access Lynda and its catalog of educational videos and resources for free. Found a special promo code or discount code like “CODE 10” that gives you 10% discount? Take a second and try a few generic codes first to see if you can get a bigger discount. In this case, something like “CODE 20” or “CODE 25”. A lot of people don’t realize that some of these codes are valid all year round. They just get advertised at certain times like holidays. Here’s a tip for anyone who needs a lot of pens – teachers, students, writers, etc; You can buy boxes with thousands of pens and pencils for pennies on eBay. All you have to do is find misprinted ads. Like “1000 pins for $10.” Nobody will be bidding on that because it won’t show up in the search results for “pens.” That means you can bid the minimum and win it. This trick works well with other items on Ebay as well. Try misspelling what you’re looking for, and you may just find it! If you want to buy something online but can’t find a current discount code for it, try entering a few generic promo codes by entering the brand’s name followed by a number. For example, if shopping on Gap.com, enter “Gap10” or “Gap20”. Most companies have generic codes that work all year round. Got a prepaid debit card as a gift? Keep the card even after you spend it all. It can come in handy for when you want to try free online trials but don’t want to risk getting scammed or being charged automatically. Wanna buy something from a new site but can’t find any coupons or promo codes for it? Add the items to your cart but instead of checking out leave them in your cart and sign out. Check your inbox in the next few hours or the next day for an email from them giving you a 10-30% discount. This works especially great with newer sites since they want to attract new customers in any way they can. If you’re planning to buy something in the next few weeks or so on Amazon, put the item in your “Wish List.” Many times the price of the item will drop. Doesn’t work 100% of the time, but it’s worth a try. Whenever you’re shopping on a website, look for the chat box. If there is one, open it up and ask for a discount. Most chat customer service agents have a certain number of discount codes they can give out to potential customers. When you register for online stores, instead of entering your real birthday, enter a day in December so you can get all the promotional birthday vouchers and special promo codes for your birthday right around Christmas so you can use it to save on your Christmas shopping. Walmart’s new Grocery Pickup feature offers same day delivery (often within an hour or so.) for free. Save time by ordering your grocery online at Walmart.com, then pick it up at the store. They will have everything bagged up and ready. You don’t even have to get out of your car. A Walmart assistant will load everything up. One of the top monthly expenses for most families is insurance. 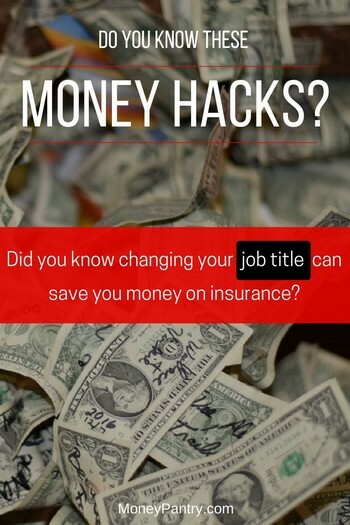 Save $100s on your insurance by simply changing your job title. Yes, this is legit. Insurance companies use the information you provide to assess risks associated with you and that’s how they come up with a price. By tweaking your job title you essentially lower your risk level. For example, changing your title from Ambulance Driver to Ambulance Crew takes the word “Driver” out of the title, instantly lowering your risk level. Another example would be changing your job title from “Welder” to “Manufacturing Engineer” which can save you a few hundred dollars. Use this site to tweak your job title to find out if it can save you money. If your insurance company takes your daily mileage into account when calculating the price, make sure to update the mileage when you move to a place closer to your work or got a new job closer to your house. The low mileage discount can save you around $50 depending on your provider. Ask your insurance company if they offers roadside assistance and how much it costs. Some companies offer roadside assistance for far cheaper than companies like AAA. Most people don’t know this, but those generic store brand items next to brand names on store shelves are usually made by the same companies/factories that make the brand name products, they just slap the store logo on the product instead. Here’s Costco’s CEO admitting that their Kirkland batteries (one of many products under the Kirkland Brand) are actually manufactured by Duracell. Want to shop at Costco but don’t want to pay for membership? Buy a Costco gift card instead and use it to shop at Costco. They may charge you 5% more, but you save money on the membership fee! This one is a little on the gray side since Costco doesn’t really want people doing that, so enter at your own risk! Planning to shop at the Home Depot this weekend? Sign up for the Home Depot Garden Club to get a $5 off coupon instantly. Plus you can enjoy around $300 in savings with exclusive Garden Club member coupons and deals. And yes, it’s free to join. Don’t throw away that grocery receipt. Scan them with apps like iBotta and Checkout 51 to earn cash rebates. Even a once-a-week grocery shopping could get an extra $5 or so in free cash. Found a Groupon coupon for a store? Call the store directly and ask if you can get the Groupon price without actually signing up. Most stores will let you do that since it will actually save them money. You see, Groupon takes an average 50% cut from each sale they generate for the store. So by working with you directly, stores save themselves %50 of your total bill. In the market for a new car? Get a quote for the lowest price from any dealer then go to another dealer and mention that quote. Car dealerships are always trying to outdo each other so they are likely to beat the completion’s price. Do this a few times and you’ve got yourself a great deal. Use Jenny’s phone number to get that discount even if you don’t have the store reward card. Next time you get to the checkout and the cashier asks you to enter your phone number if you have the store reward card to get a discount, but you realize you’re not a member use Jenny’s number (Jenny is a song by Tommy Tutone). Enter your area code followed by 867-5309. It works for almost any store (Walgreens, CVS, Grocery stores, etc) that offers a customer loyalty reward program/card. Before you buy something at the store, check their website. A lot of times, they sell the exact same item for cheaper online. And you can also avoid the shipping fees by simply picking up the item from the store, since you are going to visit the store anyway. Next time you wanna buy something at Best Buy, check the price of the same item on Amazon. If it is cheaper (in most cases it is), Best Buy will match the price as long as it is sold and shipped by Amazon. Here’s a tip from a car salesman. If you’re buying a car, make sure to visit the dealership towards the end of the month. Every dealership and their salespeople have monthly quotas they have to meet so they are much more likely to give you a better deal just so they can sell a car and meet their quota. If you’ve been with the same internet provider for a while, make a habit of checking your account every once in a while (maybe once a year). You may unknowingly be “grandfathered” into a slower plan that may even be more expensive. If that is the case, call the company. 9 out of 10 times they will change your plan to a better and cheaper one. Avoid ATM fees by asking for cash back at gas stations or convenience stores. All you have to do is buy something cheap (pack of gum, soda, etc) and ask for cashback. Even if you buy something for a dollar, you still come out ahead since most ATM’s charge a few dollar fee per transaction. Is your electric bill getting bigger even when you are using less than the month before? Call your provider and submit your own reading. Unlike the good old days, most utility providers don’t send workers to manually read meters anymore. They use smart readers and bill you based on estimates. That’s why your bill this month is $50 more than the last month even though you know you used less electricity. The good news is that most providers have a feature that allows you to call in and submit your own meter reading. Just visit your local electricity provider’s website or call them up and ask how you can submit your own reading. This can save you hundreds over the course of a year. Time to renew your contract for satellite radio? Call ’em up and ask them to cancel it. Almost 100% of the time, they will give you a discount if you renew. I did this for my SiriusXM and went from $14.99 a month to $4.99 a month. You can do the same with other contracts, phone, cable, online subscriptions, etc. Pawn shops typically only pay people 10-20% of the value of their jewelry. Therefore, even after they add their markup to make a profit when they resell it, they will usually sell it to you for half or even 1/3 of what jewelry stores charge. 76. Buy your next used car from these people! In the market for a used car? Try to buy from an elderly person. This will save you hundreds and even thousands in any potential future repair costs. The elderly usually take pretty good care of their cars, and they have less mileage and wear and tear. When buying new gadgets (phone, iPads, etc) always buy the version before the current one. It will save you a lot of money. And in many cases, the integrated technology in the newest version isn’t much better from the last version. Own your phone free and clear? See if you can switch to a prepaid plan from the same provider. Many providers have prepaid plans that offer similar features as the monthly plans but are much cheaper. Got a raise? Put that amount in your savings/retirement/investment account. You won’t notice it since your paycheck will be exactly the same as before. Over time those extra few dollars will add up in your accounts. Cutting the cord? Take the monthly fee that you used to pay for your Cable TV and put it into your savings or investment account every month. Set an automated direct deposit so you don’t even have to think about it. You won’t miss the money since you used to spend it every month on your subscription anyway. You can do this with any subscription you cancel. It’s an easy way to add to your savings/investment account. I will update this post as I find other money hacks and money related life pro tips. So be sure to bookmark this post and check back often for new tips. And if you know of any small but impactful money saving/earning tips, please share it with us by leaving a comment below. One last word, I would really appreciate it if you could share this post on Facebook, Pinterest, Twitter and other social media sites that you are active on. Let’s spread the word! Paper budget, keep track of every single dollar. Don’t swipe your debit card (and especially not your credit card!!!) unless you can account for every dollar you’re about to spend. If you think you want something, wait a week and see if you want it still. Look at all your bills and find out what you can get reduced. You can negotiate just about everything. I got laid off a few years back, and I called everywhere and told them I had to cancel because I got laid off. My internet bill went from $79 to $32, I got my car insurance down by about $10 a month. Not having a job meant I did other stuff to fill the time in between looking for a new job and networking, so I exercised more to have something to do, limited my outings to just Friday night (also limited my alcohol intake to just two drinks on Friday night), and within a few months I was in a new job that paid more than I’ve ever made. I’ve actually stuck to most of the habits I formed, and the extra money I invest every month is just crazy. Great job James! We love hearing success stories!